Shugetsu's second branch got the Michelin seal of approval in 2017, making the guide's recommended section. 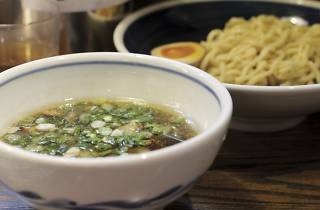 The signature dish here is tsukemen, where the ramen is cooked, put on a plate on its own and served with a separate bowl of dipping sauce made with sardines, mackerel, kelp and soy sauce. To eat, you take a strand of noodles, dip it into the sauce and slurp away. 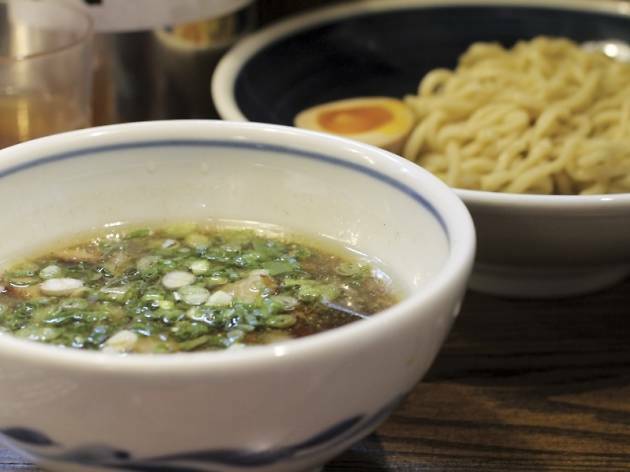 The noodles are made in-house, and rame comes with much thinner noodles.